Posted in: Builder's Spotlight, MOC. Tagged: Builder's Spotlight, Cody O, LEGO, Lord of the Rings, medieval, Orthanic. at the suggestion of one of our form members (Xarquar) we’re starting a new semi-regular feature spotlighting new some of the club members and their LEGO creations. Today’s Member is Cody O. Cody is currently serving as the ULUG President. As a builder of ancient times most of his creation bring to life some aspect of medieval or prehistoric life. Building on his love of the all thing medieval, CODY has taken the challenge of Building the Tower of Orthanic from the Lord of the Rings. 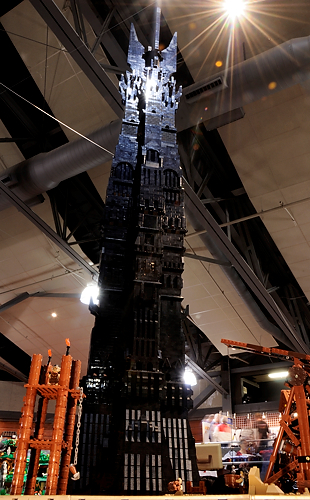 This massive black tower stands over 6′ tall and is a sight to behold. there is no lack of enthusiasm from the crowd when you see plastic at ti’s best. You too can see it in person this weekend at the upcoming hostler’s train show in Ogden this weekend. Posted in: Events, Train Shows. Tagged: LEGO, Lord of the Rings, Oophir and Titnic, shows. Admission is $6 for adults kids 12 and under are free. 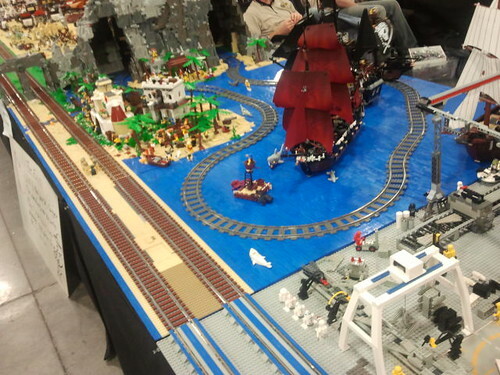 Posted in: Lego News, video. Tagged: LEGO, LEGO Games, Lord of the Rings, LOTR. It’s old news, and the actual game is not available until October 30th, but my own kids are so excited about the upcoming LEGO Lord of the Rings Game, that I thought I should at least mention it. Plus if you pre-order from GameStop, you get the exclusive Elrond mini-figure. Which if your any kind of LEGO, or LOTR fan or collector, you’ll want to do so, as this is the only way to get one.